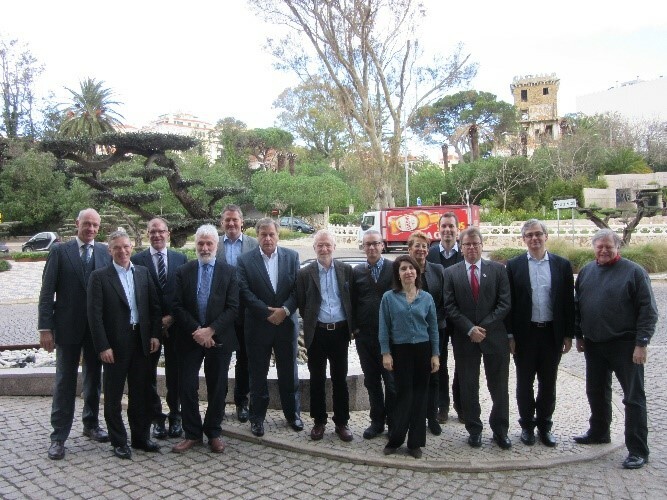 The PLUS 2016 stakeholder consensus meeting was held on 14-15 January in Estoril, Portugal. The event was attended by numerous patient organisations including IPOPI, EHC, WFH, HAEI, Alpha-1 Global, A-PLUS, and stakeholder organisations including EBA, IFBDO, IBTS, IPFA, PPTA and EPCC. The meeting was chaired by William Murphy with the support of Brian O’Mahony and Johan Prévot. Session 1: Blood and Plasma Regulations – Towards a revision of the EU Blood Directive: What is needed in a new Directive / Should Plasma be included in the Blood directive ? The first session kick-started with presentations by PLUS (Johan Prévot) and A-PLUS (Mark Skinner) providing the patient perspectives, highlighting that the patients interest must be paramount in policymaking around issues pertaining to their health and life-saving treatments. Mr Prevot stated “Any future revision of the Blood Mother and Daughter directives must take this into account and be geared to ensure the best access to life-saving PDMPs for patients across the European Union”. All other participating organisations then had the opportunity to present their perspectives. The second session featured presentations by Brian O’Mahony and Mark Skinner, as well as by PPTA and IPFA. On day two, time was spent to agree on consensus key points. As an outcome, a joint letter on MSM and Blood Donations to the European Medicines Agency was drafted and subsequently finalized and submitted after the meeting. The letter called on national and supranational regulatory authorities to ensure all necessary measures are being taken to avoid that diverging MSM deferral policies in different countries end up restricting access to PDMPs for patients. Draft keypoints on the blood directive potential revision were prepared and will form the basis for a follow up discussion at a second PLUS stakeholders meeting scheduled on May 24th in Estoril, Portugal. This meeting will present a unique opportunity to discuss the potential revision of the Blood Directive with all stakeholders and help identify common grounds on potential improvements of the Directive and its daughter directives.